You no longer have to put up with the pain! 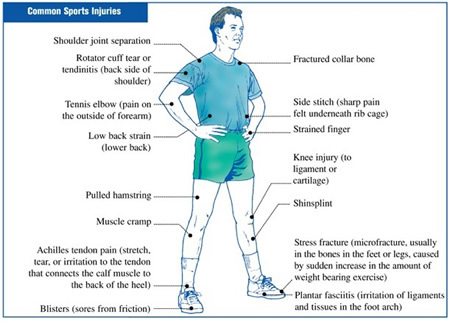 "The vast majority of sport injuries are caused by an overuse, a direct impact or an over extension. Your body will heal itself naturally over time, but if your injury is urgent and the pain excessive, I can help you". I am an experienced sports injury therapist and a specialist in the rehabilitating of patients to optimum levels of functional, occupational and sports specific fitness - regardless of age or ability. I employ a multidisciplinary therapy approach that accelerates the healing process and allows patients to return to sport as quickly as possible. Your treatment plan includes aftercare and advice to build strength, prolong healing and to help avoid further injury recurrence. Telephone the clinic for a consultation or book an appointment for an examination and verbal report of findings.